Is the range your main cooking appliance at the home kitchen? If so, you cannot afford dealing with problems and complications. 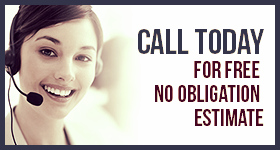 Call us as soon as you sense that there is a problem with the appliance. Stove or oven problems, we will provide the required range repair in Airdrie. We specialize in ranges and their services. Our experts are trained to service gas and electric ranges. You can count on our techs here at Appliance Repair Airdrie to help you quickly with problems but also to install a new range. Call us whatever you need. Since ranges integrate both stoves and ovens, you can call us for either stove or oven range repair in Airdrie, Alberta. Either way, our pros are qualified to troubleshoot and thus diagnose accurately the problems with the kitchen appliance. We carry replacement parts for both electric and gas ranges and both ovens and stovetops. No matter which part is burnt out or got damaged, we can replace it on the spot. 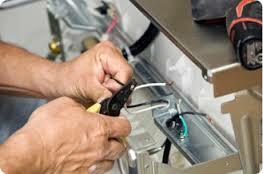 Trust that we offer quick electric and gas range repair. Both appliances can cause inconvenience but also safety hazards if they are not fixed right away. If you experience gas emissions, call us at once. We are in a hurry to help you out to prevent hazards and enable you to use your cooking appliance like you always do. For safety reasons, you should also schedule gas range installation with us. Our pros make sure the new range is connected to the gas line properly and the appliance is correctly installed. We also install electric ranges and double check that the appliance is safe and ready to serve you. We have the equipment, experience, and skills to install and fix ranges. This is a complex appliance and demands great knowledge in order to be serviced right. Always contact us when you need service. Any service. Our Airdrie range repair technicians will be happy to assist you in any way requested for happy and safe cooking times.